Biomass Pellets Trade & Power is proud to welcome the Pellet Association of Malaysia (P.A.M.) and Agensi Inovasi Malaysia (AIM) as Premium Sponsor. 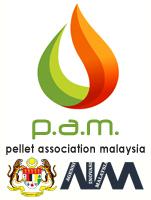 P.A.M. is an association of Malaysian pellet manufacturers that establishes common industry practices and standards within the nation as well as aid in the international promotion of Malaysian pellets. AIM is the Malaysian National Innovation Agency that serves as the driving force behind the national innovation agenda and plays a major role in the development of the National Biomass Strategy, working with industry majors in implementation and facilitation to achieve the objectives. As Premium Sponsor, AIM is offering a report entitled `National Biomass Strategy 2020' as free download. Click here or image on the right to obtain your copy today. - Feed-in Asia's Demand for Wood Pellets & Biomass"
"Global Buyers and Suppliers Meet!" With RPS (Renewable Portfolio Standard) implemented last year South Korea's thirteen power utilities must now deliver two percent of their generated energy from renewables and progressively to ten percent in the coming decade (2022). Compared to other renewables such as wind, solar, hydropower - Biomass is expected to deliver the bulk of the clean energy capacity estimated at 50-60 percent. Whilst in Japan discussion of nuclear power continues with solar power expected to dominate the renewable energy spectrum. When feed-in tariffs (FiTs) for biomass power kicked-in mid last year, industrial generators such as Sumitomo Osaka Cement, Nippon Paper Industries and Idemitsu Kosan Co. took advantage of the tariffs to reduce their dependence on coal with wood chips and other biomass at their power plants. In order to meet the RPS mandate, South Korean government has set a target to import 5 millon tonnes of pellets by 2020, thus meeting almost75% of pellets requirement in the country. Energy and trading companies such as GS, LG and Samsung are currently actively exploring pellets import opportunities with the suppliers from Australia, Canada, US and South-East - Asia (Malaysia, Indonesia, Vietnam, Thailand, etc), and the first to take the lead is Korea Southern Power (KOSPO) with the purchase of 15,000 metric tons of wood pellets and delivery in last October. Global suppliers from USA, Canada, Russia and Australia, wood pellets suppliers are cranking up their production supply chain to meet this emerging demand from North Asia, despite the uncertainty of how massive this demand can grow to. In South - East Asia, intra-regional cooperation and investments as well as indigenous efforts to develop the biomass sector have led to Malaysia, Indonesia and Vietnam scaling up as potential exporters of wood pellets and high calorific value biomass fuel such as Palm Pellets, EFP and PKS. Bio-Coal, or torrefied Pellet, has also evolved from R&D to commercial productions globally. The competition is intensifying and the action is right here in Asia. Attend CMT's Biomass Pellets Trade & Power and secure deals and partnerships. Register NOW for the 4-days' exciting event with hafizah@cmtsp.com.sg. Contact us for attractive bundle and group discounts. Post Conference Workshop on Biomass to Power: Procurement Challenges, Recommendation, Status of Biomass Torrefaction & Applications - Detailed discussion on biomass procurement strategy including recommendation, and evaluation on commercial availability of Bio-coal pellets and torrefaction technologies. PLUS Finale Highlight on 12 Sept: A guided visit to Donghae Biomass Power Plant, operated and tour facilitated by Korean East West Power (EWP). Limited seats, site visit registration on a first come first serve basis. "Very impressive and valuable to my work"
"This is my first time attending the conference. It really provide a lot of information about the industry and future"
"Conference provided the forum to understand Korean market for biomass pellets & chips"
"A Must Attend for renewable energy companies"
"Excellent opportunity to explore potential new business opportunity in wood pellets"
"Very informative enough to get updated on the market situation"
This event is an excellent platform to promote your oganization to influential players & investors in the industry. Pöyry?CMT?Biomass Pellets Trade & Power????????????;?????EnerOne????,? ?Pellet Association Malaysia (PAM)????,??2013?9?9-10?????? ???????????????? ?Biomass Pellets Trade & Power???????????? ?Pellet Association Malaysia (PAM)?Agensi Inovasi Malaysia (AIM)?????PAM??????????,???????????? (Malaysian pellets),????????????AIM????????????????? Biomass Pellets Trade & Power????????? ?—Pellet Club Japan???? ?Ken Kojima??????? (Chungbuk National University)? ?Gyu-Seong Han,?????????????????????????????????,???????????????????????,?????????????????????????????????????????,? ?EDF Trading Markets?Nicholas Tsirigotis???????????????????? ?,?Jens Price Wolf???? ?DONG Energy????????????????????????????? ??????,Pöyry? ?Global BioFutures Practice?? 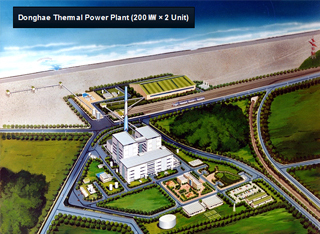 ?Biocoal – Bioenergy Game Changer in Asia?(«?? ?– ??,?????????»)???? ?Andreas Teir?????????????????????? Ekman & Co AB?Eco-Frontier?Indufor Asia Pacific?Global Green Synergy Sdn. Bhd. ?The National Bioenergy Union (???)? ?Firefly AB??????????????????????????????????????????????????????? Sabah, a key oil palm producing state in Malaysia, is quickly turning into a biomass game field for industry players. Recent research has revealed Sabah’s capabilities in producing 30 million tonnes of wet palm biomass per year, sparking renewed interest in the state across both industries. On top of that, the study has also revealed Sabah’s potential in producing 12.69 million tonnes of dry biomass annually for downstream use. As highlighted by Deputy Chief Minister, Datuk Raymond Tan Shu Kiah, prospective key areas are Lahad Datu and Sandakan, both able to produce more than 5 million tonnes per year each, as well as Kunak and Tawau. With the new figures in place, Sabah is expected to achieve an additional income of RM 15 billion per year by 2020, giving the biomass sector greater prominence within the country itself. Pellet Association of Malaysia (P.A.M), an association of Malaysian pellet manufacturers, and Agensi Inovasi Malaysia (AIM), the National Innovation Agency driving the national innovation agenda, serve essential roles in the promotion of Malaysian pellets internationally as well as the development of the National Biomass Strategy 2020 to ensure that Malaysia steps up to the growing global biomass game. For a start, watch the video clip below in which Bas Melssen, Executive Vice-President and Head of Strategic Innovation Projects, Agensi Inovasi Malaysia (AIM) talks about the immense opportunity that would be created by harnessing and utilizing Malaysia's biomass. Next, download and gain insights on Malaysia’s palm oil sector and biomass strategy from their report on National Biomass Strategy 2020. At the Biomass Pellets Trade & Power Summit in Seoul on September 9-12, 2013, P.A.M and AIM will elaborate further on Malaysia’s National Biomass Strategy 2020 as well as P.A.M’s role in unlocking Malaysia’s biomass potential and achieving Asia’s renewable energy targets. For inquiries, please contact Ms. Hafizah at hafizah@cmtsp.com.sg or Tel. +65 6346 9218. ??? (Poyry), ???? ?????? PAM? ?? ?? 2013? 9? 9?~10? ??? ???? ???? CMT????? ?? ????&?? ????? ?? ?? ???? ?? ?? ? ? ???? ?, ????? ???? PAM(Premium Sponsors Pellet Association Malaysia)? AIM(Agensi Inovasi Malaysia)? ???? ????? ?? ????&?? (Biomass Pellets Trade & Power) ????? ???. PAM? ????? ??? ???? ????? ??? ??? ?? ?, ????? ?? ????? ??? ???? ????? ???? ?? (Malaysian National Innovation Agency)? AIM? ?????. ? ? ??, ? ?, ???? ??? ?? ?? ?????? ?? ?? ???? ??? ??? ??? ??? ?? ??. ??? ??? ?? ?? ??? ??? ?? ???? ???? ?? ??? ??? ??? ????? ???? 2020??? ?? 1000? ?? ?? ??? ???? ?? ?, ????? ?? ??? ???? ??.
? ???? ?? ????&???? ?? ?? ?? ??? ? ???(Mr. Ken Kojima)? ????? ??? ?? ? ? ?, ??? ????? ?? ?, ??? ??? ????? ??? ?? ??? ????. ??? ???? ?? ??? ????? ??? ????? ?? ?? ? ?, ???? ????? ??? ??? ??? ????. EDF ???? ??? (EDF Trading Markets)? ???? ????? (Nicholas Tsirigotis)? ?? ?? ?? ??? ????? ??, ? ???? ??(Mr. Jens Price Wolf)? ??? ???? ???? ?? ?? ?? ?????? ??? ??? ?? ???? ? ?? ?? ????? ? ?, ?? ???? ????? ??? ??? ??? ??? ????.
? ?? ?? ?? ???? ??? ?????????? (KOSPO), ?????????? (EWP), ?????????? (KOSEP), ?????????? (KOWEPO), ??????????(KOMIPO)? ?? ?????-?? ?? ????? ????? ??? ?? ??? ?? ??? ????.
? ???? ??? ??? (Poyry) ??? ????? ???? ????? ‘???? ???? ?????? ?? ???? ?’(Biocoal Bioenergy Game Changer in Asia?) ??? ??? ???? ???(Mr. Andreas Teir)? ??? ???? ???? ?? ??? ????. ? ? ?, ??? ? ?, ???? ?, ?????, ? ?, ???? ?, ???, ? ?, ???? ????? ??? ?? ??? ?? (Ekman & Co AB), ??-???? (Eco-Frontier), ??? ??? ??? (Indufor Asia Pacific), ????? ??? (Global Green Synergy Sdn. Bhd. ), ??? ?????? ?? (The National Bioenergy Union), ?????? (Firefly AB)?? ???? ??? ????. In conjunction with CMT’s Biomass Pellets Trade & Power, Pöyry has released an exclusive white paper focusing on the market potentials of biocoal in Asia Pacific. Energy sector worldwide is looking at reducing fossil fuel consumption and sourcing for sustainable alternatives in renewable energy sources. Apart from wood pellets and agricultural residues, biocoal has also garnered increasing attention with its energy potential and characteristics that are similar to coal. As North East Asia steps up its game in renewable energy sources, especially in Japan and South Korea where the advocacy is aligned with national energy policies, biocoal’s market potential is expected to surge. 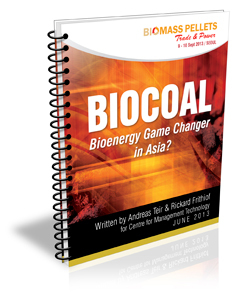 Written by Pöyry’s Global BioFutures Practice’s Director, Andreas Teir, and bioenergy expert and consultant, Rickard Frithiof, the Biocoal – Bioenergy Game Changer in Asia white paper outlines the market potential of the global pellet market, forecasted to reach 60 million tonnes by 2020, as well as insights and analysis of biocoal’s growing market and potential in Asia Pacific. More insights on biocoal growth opportunities, technology, production costs and the Asian markets are available in this exclusive release! Simply fill up the form below to obtain a complimentary copy of the white paper. Registration is now open! Secure your seat today by registering here or through Ms. Hafizah at hafizah@cmtsp.com.sg or Tel. +65 6346 9218. The market for wood pellets no longer revolves around the European nations. The promising Asian markets continue to rise, with three nations, namely Japan, South Korea and China, leading the race in the use of woody biomass to charge up the nation’s energy output from renewable sources. Looking beyond national policies and mandates on renewable energy sources and reduction in carbon emissions, wood pellets play vital roles in domestic energy source and industrial use. However, given each country’s different dynamics, market opportunities vary. Although China’s market structure remains ambiguous, market researchers find Japan’s and South Korea’s to be inclined towards one that is by-invitation. CMT’s Biomass Pellets Trade & Power in Seoul, September 9-12, 2013 serves as an assessment and discussion ground on Asia’s wood pellets & biomass market, with high participation from local biomass trade players. Examining beyond market dynamics and policies, distinguished international players at the trade summit will look into SEA’S prospective agricultural biomass supply as well as industry technology and developments. For more information on the Biomass Pellets Trade & Power, an updates and global buyers-suppliers meet, contact Ms. Hafizah at hafizah@cmtsp.com.sg or Tel. 6346 9218. Nippon Paper Industries has announced plans for a new biomass power generation project. 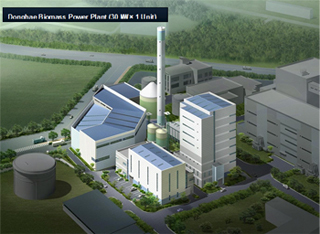 The facilities will be constructed at Japan’s Yatsushiro Mill and slated to start operations by March 2015. Using only 100% unused woody materials, this new development is expected to generate a power output of 5,000kW. The exclusive use of 100% unused woody materials leverages on Nippon Paper Group’s network, allowing it to fully utilize the feed-in tariff system. Also, this move will significantly expand the use of forest materials, aligning the group with the national Forest and Forestry Industries Revitalization Plan that aims to achieve 50% self-sufficiency in terms of woody material. Nippon Paper Industries will also be transforming its business structure into that of a biomass company, tapping on and integrating its strengths in paper manufacturing, power generation, forest operations and quality woodchip production. 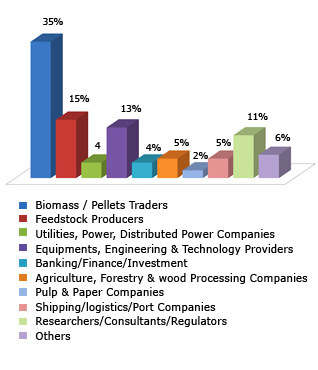 International powerhouses and decision makers from Japan, South Korea and China are poised to participate in the annual industry meet, Biomass Pellets Trade & Power, in Seoul on September 9-10, 2013, for a more in-depth look into Asia’s biomass demand and renewable energy policies. More details on the summit are available on the Event Page. Alternatively, please contact Ms. Hafizah at +65 6346 9218 or hafizah@cmtsp.com.sg for more information.